That chance has come now for the 27-year-old from Baroda, but it comes in a slightly bittersweet fashion - he comes into the squad as brother and fellow allrounder Hardik Pandya is out injured . He's had to wait for three years, while seeing other one-season wonders like Deepak Chahar and Washington Sundar jump the queue for an international cap. It was a follow-up to Krunal's stint with Baroda - the side reached the semi-finals of the Vijay Hazare Trophy that year, when he scored 366 runs at an average of almost 46. Now, against West Indies, after his long wait, Krunal finally has the chance to lay solid claim to India's allrounder slot. And, of course, he's working under his captain at Mumbai Indians, Rohit Sharma, and so he will be comfortable in the knowledge that here's a man who understands his skills and is best positioned to make the most of what the newcomer can offer. 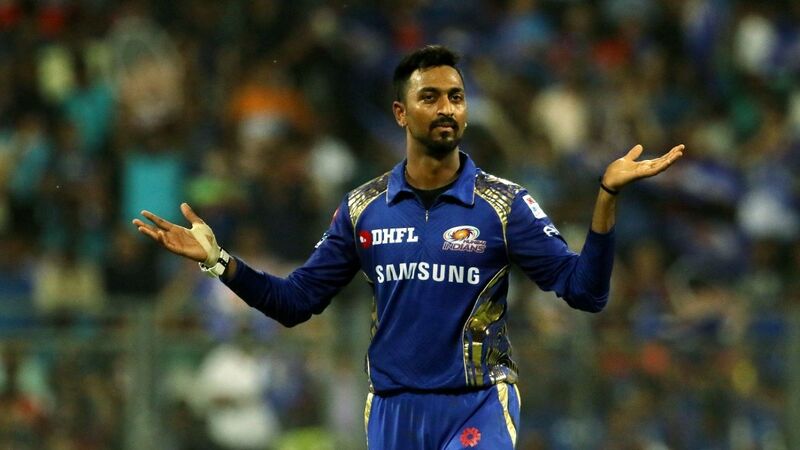 Add those to Krunal's very regular list of "niggles" that have forced him to skip large parts of the Indian domestic season, and India's decision to not consider him for so long makes some sense.